Here are some images of The Heavy which I took on Thursday night at their show at KOKO, London. 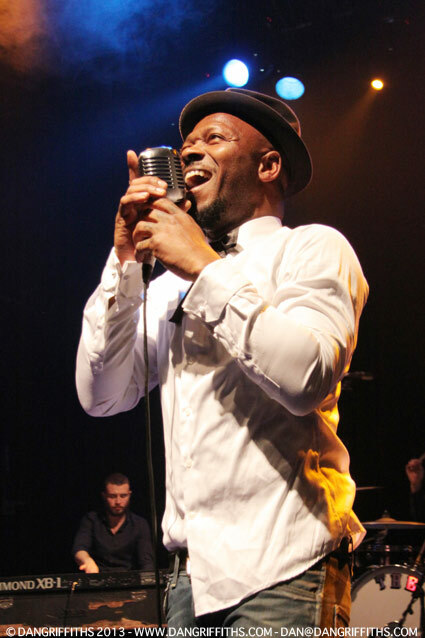 The band’s frontman Kelvin Swaby was very energetic and made them a great band to photograph. In between songs he mentioned that last time they played the capital it was at the Borderline which is a pretty impressive leap in venue size! Click on the thumbnails below to launch the pictures in a light box. The band released their first single ‘That Kind of Man’ in 2007 on Don’t Touch Recordings. It was mixed mixed by Corin Dingley before Ninja Tune discovered it and promptly signed the band, Kelvin, Dan and Corin. The Heavy released their new album ‘The Glorious Dead’ in August last year.